To put that into some kind perspective, the number of cases reported over the past 6 days already equals or exceeds any KSA monthly total during 2018. 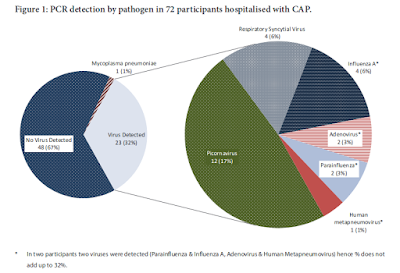 Of the 7 new hospital-acquired infections, 5 are listed as being in home isolation, which usually indicates an asymptomatic, or possibly mildly symptomatic, contact of a known case who has tested positive for the virus. But, as we saw last Tuesday, cases placed in home isolation are sometimes later moved to a hospital as their situation changes. Although it isn't stated, it seems likely - based on their ages - that a number of these hospital-acquired cases are among health care workers. 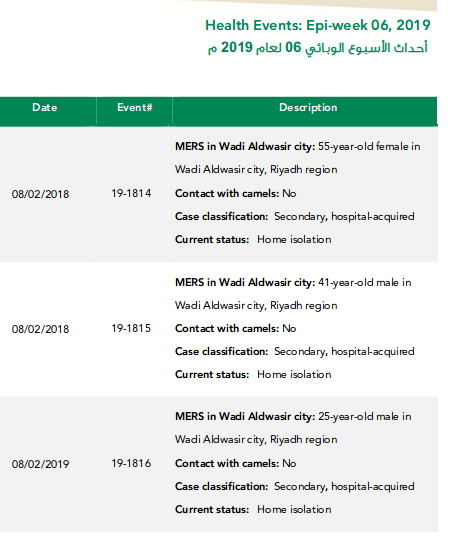 In addition to two other patients described as having recent camel contact - the MOH has reported 3 different clusters of cases in Wadi Aldwasir. 13 cases have been listed as secondary, healthcare-acquired. 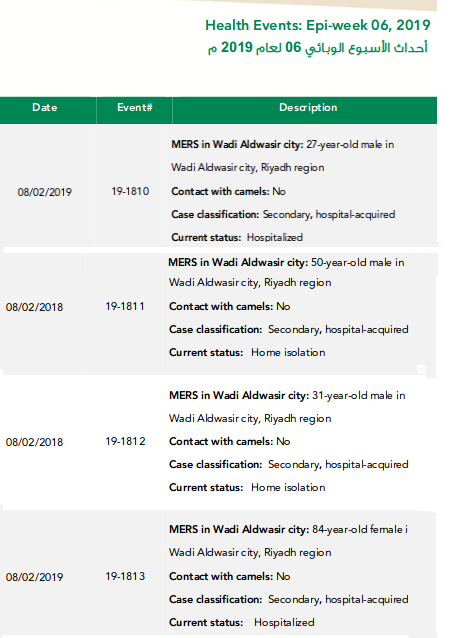 Since the start of 2019, Saudi Arabia has reported 40 MERS cases, which includes 7 clusters (household, healthcare, and community). 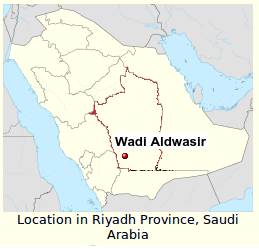 Oman has reported 5 cases.